There is a danger of being stuck in a traffic jam in the rush hour (18:00-20:00). 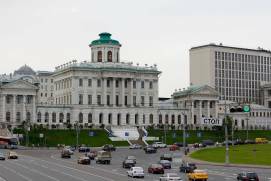 It is better to take Moscow Metro at that time. 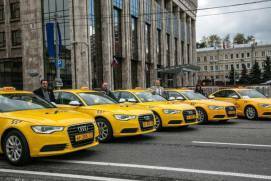 Using mobile applications such as UBER, Yandex Taxi, Gett is very handy in Moscow. There is no unified fare structure for taxi in Moscow. 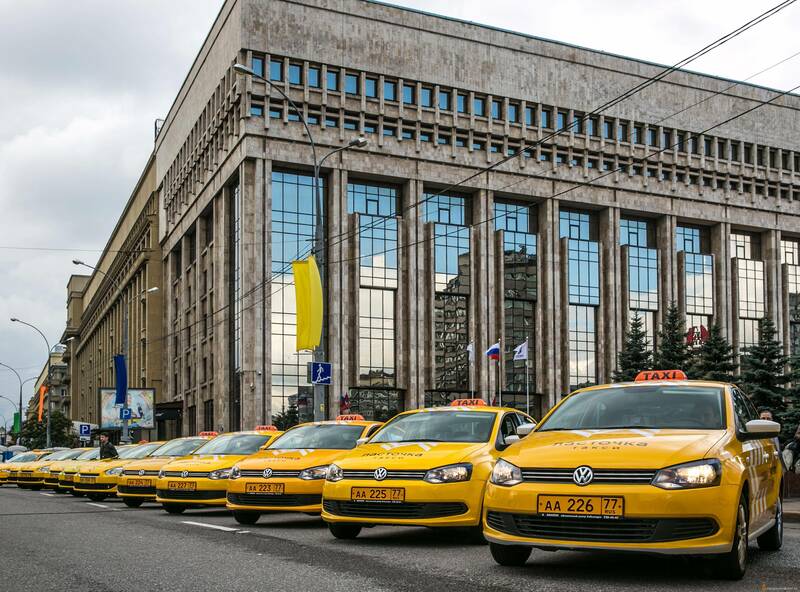 In the Moscow region there are dozens of taxi companies, and each of them sets its own fares. 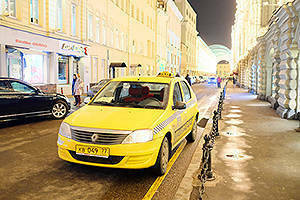 The distinctive exterior features of licensed taxis in Moscow include yellow vehicle registration plates and orange lights on the roof. At your request a driver must provide you with the price list and his or her license information. 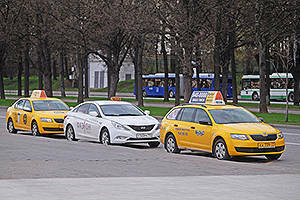 Many taxi companies in Moscow offer a choice of vehicle category: economy, comfort, or business. Taxi rates between these categories may differ drastically. Not all taxi vehicles are equipped with credit card terminals. 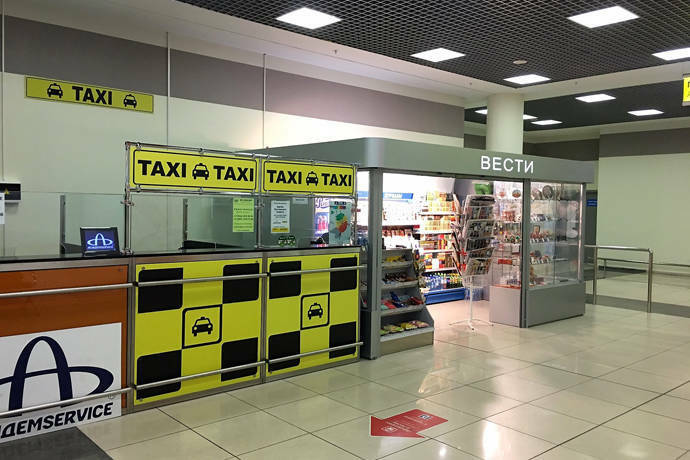 In Moscow, in addition to legal taxis, there are thousands of unlicensed cabs offering their services as well as people just driving around in search of odd jobs. Therefore, if you stand on a roadside holding out your arm for a few minutes, someone is sure to stop and offer you a ride for money. Most likely, however, this will be an unlicensed taxi. Such cab services are illegal and not always safe. 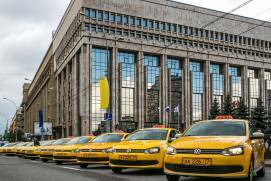 Choose taxis with yellow vehicle registration plates. An exception can be made for transportation companies at airports, where you book a taxi at an official desk. Find out the rates and the approximate cost of your ride in advance. If you’re going to travel with a child under the age of 12, you must use a child seat. Most taxis are not equipped with them. Remember to request the seat when ordering a car. 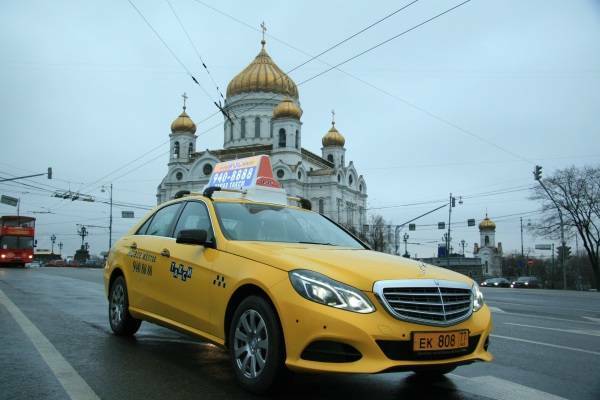 Be especially careful when taking a taxi near Moscow nightclubs. Never get into a cab, if the driver is not alone in the car. 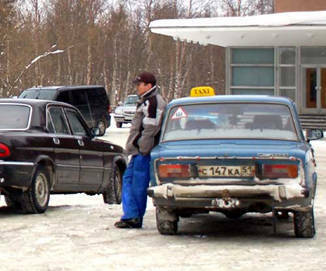 The minimum fare is usually no less than 300 rubles. At night (after 21.00) and at weekends the rates can be 15-20% higher. 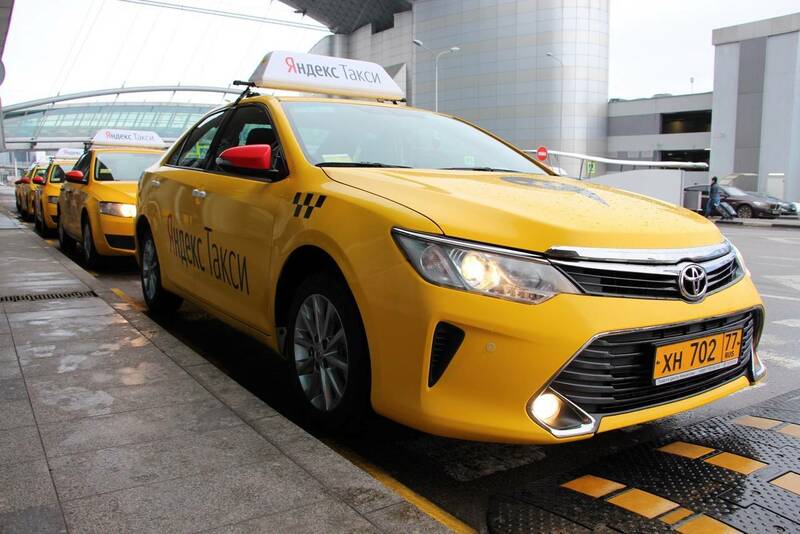 Order a taxi at the airport. Note: please use a taxi desk! 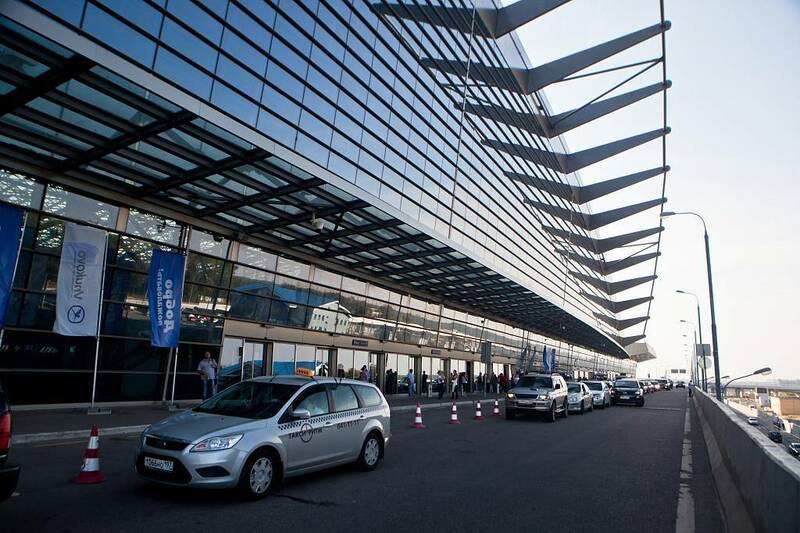 Taxi drivers offering their services in the arrival hall may not have a taxi license or may set the price too high. 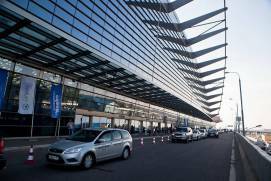 The cost of a ride from the city to an airport is also usually fixed. Here you can rely on the concierge. But we recommend finding out in advance the rates of the taxi service used by your hotel and asking whether a credit card terminal will be available in the car. Searching for a random taxi stand in the streets of Moscow is not the best idea. Therefore, the locals prefer to order a cab by phone or via online services. Licensed taxis operate mainly on these systems. Illegal ones, on the other hand, tend to look for customers in the streets. 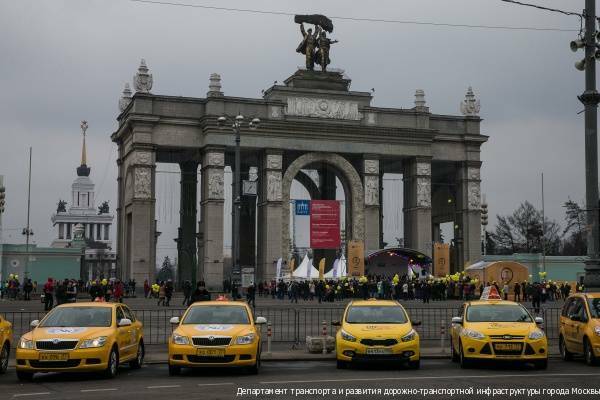 However, if you are walking somewhere downtown along a well-lit and crowded street, your chances of seeing a free taxi with yellow registration plates are quite high. This is the main difficulty for a foreigner. Most taxi drivers in Moscow do not speak English or any other European languages. Therefore, if you stop a taxi in the street, be prepared to say or show the exact address of your destination in Russian and ask the driver to write the exact fare on a piece of paper. 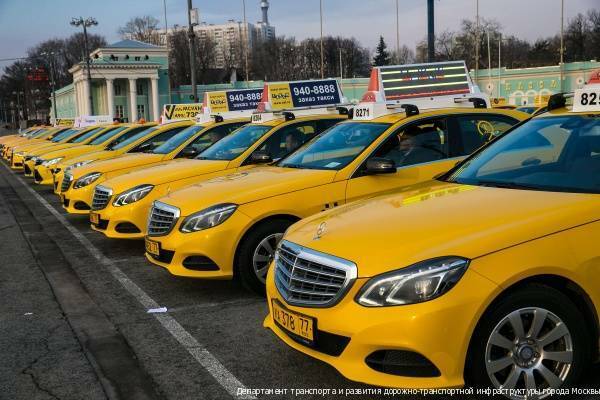 If you speak some Russian and have a local SIM card, you can get a taxi in Moscow from any major service, such as: taxi.yandex.ru, gett.com, taxi956.ru, nyt.ru, mostaxi.ru, formula-taxi.ru, by phone or through a website. Some of them have English-speaking support, for example, taxi956.ru, nyt.ru, mostaxi.ru, formula-taxi.ru. 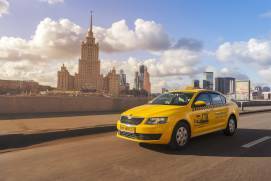 Visit the mentioned websites in order to check out Moscow taxi prices or order a taxi online. You can also turn to Uber (www.uber.com/ru/cities/moscow) – the global online service – via its application for iPhone and Android.